The most blatant reference though, and creating the biggest stereotype, came from Walt Disney’s “Cinderella” fairy tale. 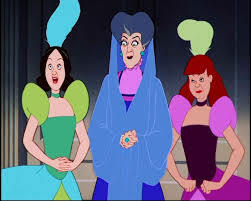 In every version of this story, Cinderella is treated poorly by a “wicked” stepmother (and step sisters also, but that is another post). Step parenting is not a bad thing in concept really. 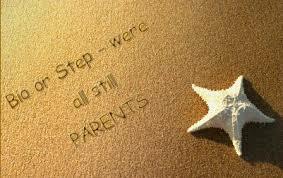 But it is a challenge from all aspects, the child, each spouse, and of course, the “step”. Undoubtedly, my children will some day find themselves dealing with a “step parent.” But just as my experience as a child of a divorce gives me first hand knowledge of the emotions and pains a child feels through a divorce, I also have first hand experience in dealing with not just one step parent, but two, a step mother and a step father. When my children were first told of the divorce, they were 8 and 10 years of age. I kept the explanation for their level and most certainly made sure that they would never feel that they were any part of the divorce, especially the cause, because they were not. The explanation was that Mr. & Mrs. Edelman, were no longer going to be husband and wife and that was all. Their mother was going to remain their mother, and I was going to remain their one and only father. It was definitely going to be in different houses, but both would offer them the only love that they had ever known. That would not change. But of course, my older daughter, always being the inquisitive one, wasted no time in wanting to talk about “step parents”. She was aware that I had both a step mother and a step father. And so my explanation went as followed. That a step parent is “one step away from being the legal parent”. The step parent takes on the responsibility of helping the other parents, and I emphasize all parents involved in the child’s life. Some may try to pull the role to that of simply financially supporting the child, but nothing could be farther from the truth. Of course, there are rules and boundaries that will exist between step parent and step child and these must be recognized and respected for the relationship to not only work, but to grow. A step parent who takes the “heavy handed” approach risks negative response from a child who will have no problem saying, “you’re not my real parent”. And the hostility between will begin to grow. But a step parent who understands and respects that the child has the right to love and cherish their legal parent, will have a lifetime of respect from that child. As I mentioned earlier, “parent” is a title that a child uses to distinguished familial structure. And clearly, while a step parent may be introduced as a step parent, I do not believe I ever called either of my “steps” step mom or step dad to their face. I called both by their first name. Neither was my legal parent, and just as I assured my daughters that their mother was going to remain their mother, and I their father, I was not going to refer to either other than by their first names. Our daughters have only one mother, and one father. And that is the way it will be forever. 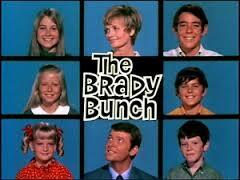 But as the Brady’s pointed out, step parents can also be a good thing.